These Baby Dolls are Samurai front corner protectors are welded directly to the "Pre-Fab" or "Brute" styles of ZOR high profile center sections. 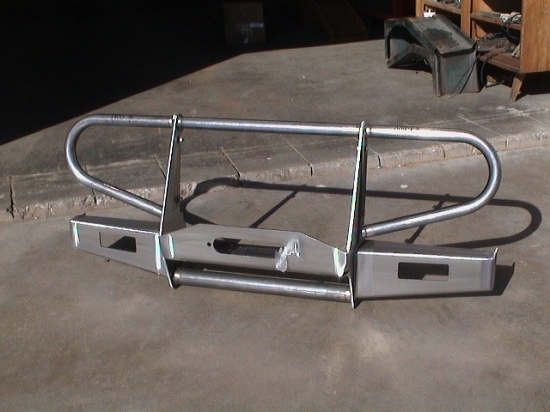 1.500" Steel HREW thick wall round tubing fully welded tight bend radius and Smasher Canyon tested. NOTE: Picture above is showing the fender protectors welded to a prefab center section with stock light ends. Bumper is NOT included in the $99.95 price! 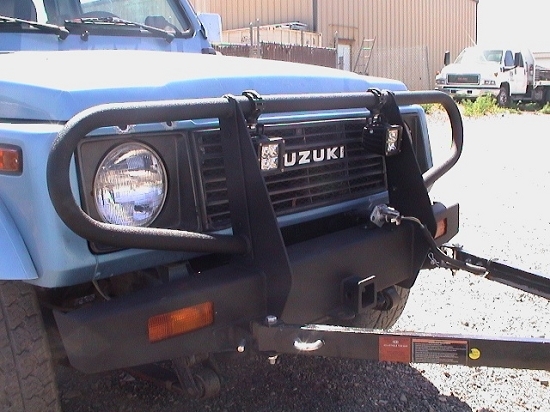 ZOR Front Winch Bumper featuring Headlight Corner Protection.